Goodreads Summary: In this book is a world. A world created by two awkward guys who share their lives on the internet! My Review: Dan and Phil are two of my favourite youtuber's so reading this book was an enjoyable experience. I took my time as I wanted to endure every word of their thoughts. Goodreads Summary: In this intimate memoir of life beyond the camera, Connor Franta shares the lessons he has learned on his journey from small-town boy to Internet sensation so far. 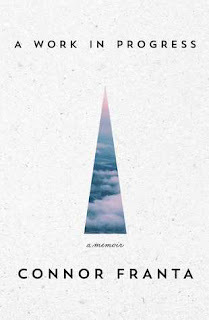 My Review: I have watched Connor Franta on Youtube for many years, so when I saw the video about him releasing his own memoir I was ecstatic. Connor has always inspired me and he certainly inspired me throughout this book. 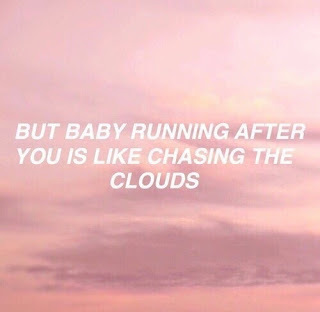 - A Work In Progress by Connor Franta. I am currently 140 pages into this book of 212 pages. I am throughly enjoying reading this memoir, it is very relatable and inspirational. I have watched and followed Connor through most of his journey while on the internet, so it's very interesting and fun to read more about the person I have watched for years. I will definitely be reviewing this book! 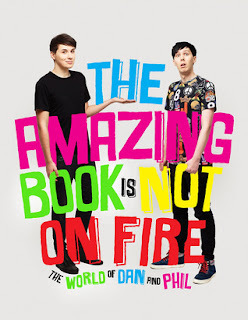 - The Amazing Book Is Not On Fire by Dan Howell & Phil Lester. I am currently 110 pages into this book of 224 pages. Dan and Phil are some of my favourite Youtuber's so I am having a blast reading this book! I cannot wait to review it too! Music is a huge part of my life and that is thanks to these artists/bands that make the music I listen to every single day of my life. I will continue to add to these lists whenever I find more artists/bands I begin to love and listen to. I only read Young Adult at this point in time, so feel free to contact me if you would like me to review your book! Goodreads Summary: The Clave is pleased to announce the newest edition of the Nephilim’s oldest and most famous training manual: the Shadowhunter’s Codex. Since the thirteenth century, the Codex has been the young Shadowhunter’s best friend. When you’re being swarmed by demons it can be easy to forget the finer points of obscure demon languages or the fastest way to stop an attack of Raum demons. With the Codex by your side, you never have to worry.